07/05　Laura 受邀在 Andrea Bocelli 的演唱會上對唱 "Vivere"
insiders only and it won’t be aired on TV. 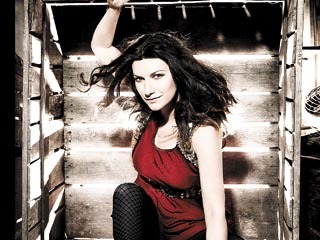 (ANSA) - ISCHIA (Naples), 15 GIU - Laura Pausini and Sheryl Crow win the Ischia Music Award 2007. The award to the queen of italian pop music will be presented to her on next July 11 by David Foster, Laura Pausini’s U.S producer. Foster himself will receive the William Walton Music & Film Awards, together with musicians and Oscar winners Gustavo Santaolalla and Luis Bacalov. "The fifth Ischia Global Film and Music Fest will be dedicated to Luciano Pavarotti" announced in Los Angeles Tony Renis, Vice President of the International Art Academy of Ischia, as he presented the program of the event, which will take place from July 9th to 15th at the Regina Isabella Hotel in the town of Lacco Ameno. Sheryl Crow will inaugurate the musical section of the festival at the port of Ischia on July 10th, where she will receive the Ischia Venice Casino Musica Award together with italian singer Andrea Mingardi. "After Bocelli, Bacharach and Belafonte this year we just had to honor the great Laura Pausini, winner of a Grammy last year and just back from San Siro in Milan, where she was the first italian woman to sing in a stadium." said Tony Renis. (ANSA). Laura將演唱 Giorgio Gaber 的歌 "Non insegnate ai bambini"
是由義大利歌手 Alice 演唱 "Non insegnate ai bambini"
Laura Pausini is nominated for the OYE Awards as "Best Female Solo Artist". This is an award given by the Recorded Industry in Mexico. The prize-giving ceremony is held in the town of Veracruz (Mexico) on Aug 23rd @ the World Trade Center. 09/08　Laura 可能參加一個在羅馬舉行的活動 "Notte Bianca"
It's possible, even if we have no certainties now, that Laura will take part in the Notte Bianca in Rome on next September 8th (Piazza del Campidoglio) to pay homage to Armando Trovaioli. On September Laura will be involved in Claudio Baglioni's Festival "O' scià" to support the meeting of races and cultures, on the charming italian island of Lampedusa. A remarkable free music kermess involving many stars of italian and international Pop music scene. At present there's no further info about that. 10/28　Miami - Concert "Amor a la Música 2007"